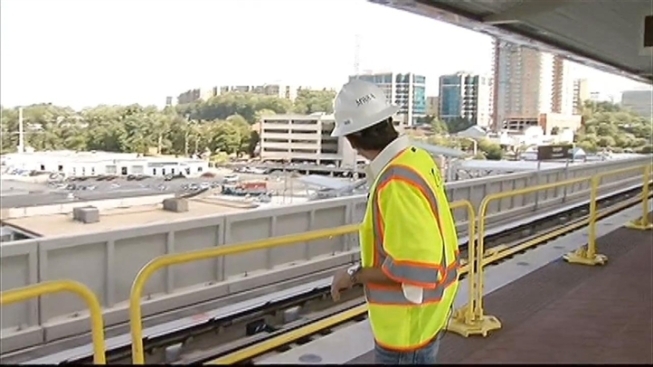 The first phase of Metro's $2.8 billion extension in Virginia is now expected to be completed in November to open in early 2014. The Metropolitan Washington Airports Authority announced the status of the Silver Line extension on Wednesday. The announcement comes after the agency said in July that there would be an eight-week delay. Officials blamed the delay on additional testing that was needed. The rail line had been expected to be finished and turned over to Metro for testing in September. The new line in Fairfax County will run from Falls Church to Wiele Avenue in Reston. Stations are slated to open in early 2014. The second phase of the project will include service to Dulles International Airport and Loudoun County. It's scheduled to be completed in 2018.